Bhasha Headquarters, The Home for local language software solutions in Sri Lanka was opened in Kalutara on 8th April 2013. 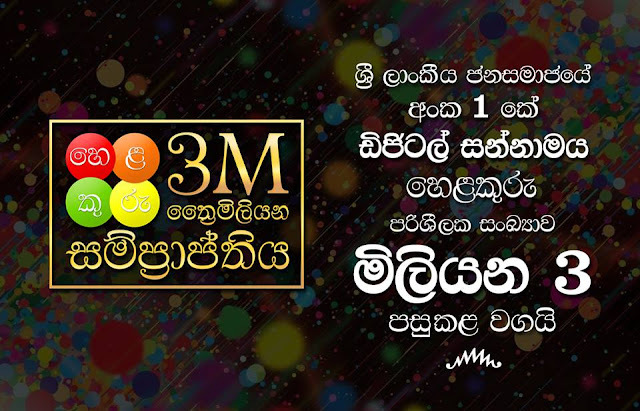 Bhasha Lanka (Pvt) Ltd, well-known as Bhasha was founded by Dhanika Perera, a young Sri Lankan entrepreneur in 2011 when he was an undergraduate at University of Moratuwa & existed as a fully Virtual Company for more than one & half years. Introducing the concept of Virtual Companies to Sri Lanka, Bhasha successfully operated as a Virtual Company with all part-time employees including its CEO & innovated a number of Award-winning local language software products & recognized by several Global & National Awards. The mBillionth South Asian Mobile Award (2011), e-Swabhimani National Award (2011 & 2012) & National Best Quality Software Award (NBQSA 2012) were some of the Awards won by them. Transiting its state from a Virtual Company to a Physical Company, Bhasha opened their Headquarters in Kalutara, controversially outside Colombo. "Today in an e-World, we believe that the location is immaterial for an IT Company to conduct their business & we have already proved that by the recognition we gained while operating as a fully Virtual Company with no physical location." said Dhanika Perera, the Founder & CEO of Bhasha explaining their decision to locate outside Colombo. With a deep vision of "Empower the Masses", Bhasha is a Company working towards enabling the use of Information Technology for the non-English speaking people in Sri Lanka & South Asia by providing them software solutions in their own local languages, helping them to overcome their language barrier.